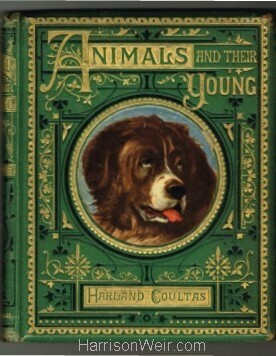 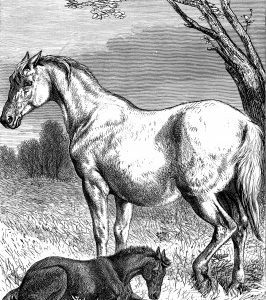 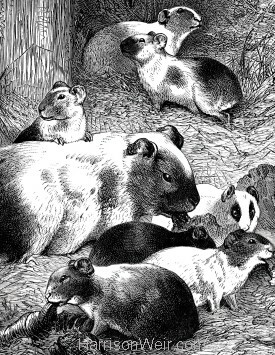 “Guinea-Pig and Young” by Harrison Weir, is a full page book plate image, taken from “Animals and their Young”, published by S.W.Partridge & Co, London, in 1891. 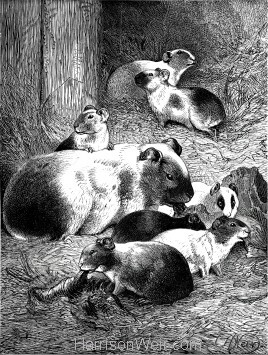 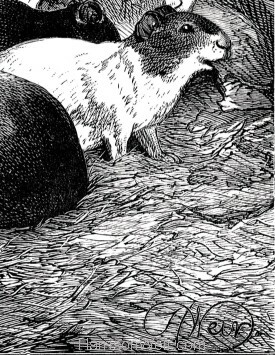 However, the original image,first appeared in the November 1872 edition of “The Children’s Friend”, with the caption: “The Guinea Pigs”. 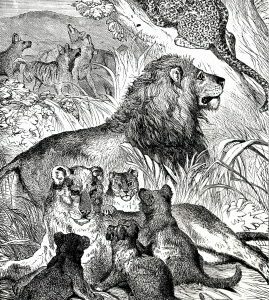 This is a delightfully detailed study, clearly demonstrating Weir’s experience as an artist, which shows in both the unique composition and the physiological accuracy of the subject matter. 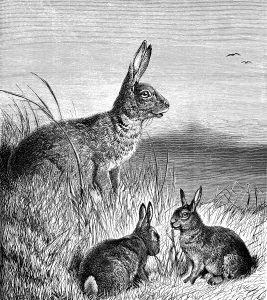 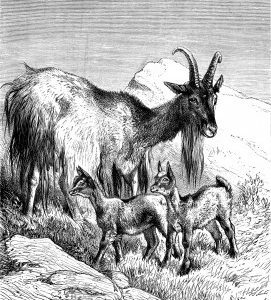 Years of observation have honed Harrison’s skill in being able to render and imbue the drawing with so much feeling, while remaining true to his record of accuracy as a naturalist. 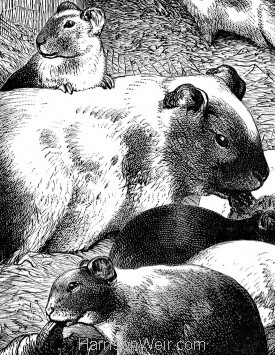 Prints currently available in A4, A3 and an impressive A2 sizing option.